This classic volume, now available at a lower price, showcases jet-set homes designed by the likes of Neutra, Frey, Lautner, and others. Palm Springs is famous as a mecca for the international jet set. But the city has also attracted its share of eccentrics and mavericks who have left an architectural legacy that remains unsurpassed for its originality and international influence. This book examines the impact that architects and designers have had on the desert oasis, primarily from the 1940s to the 1960s. Palm Springs Modern features examples of midcentury modernism at its most glamorous, some of them the residences of prominent figures who commissioned weekend getaways in the desert, including Frank Sinatra, Walter Annenberg, and Raymond Loewy. 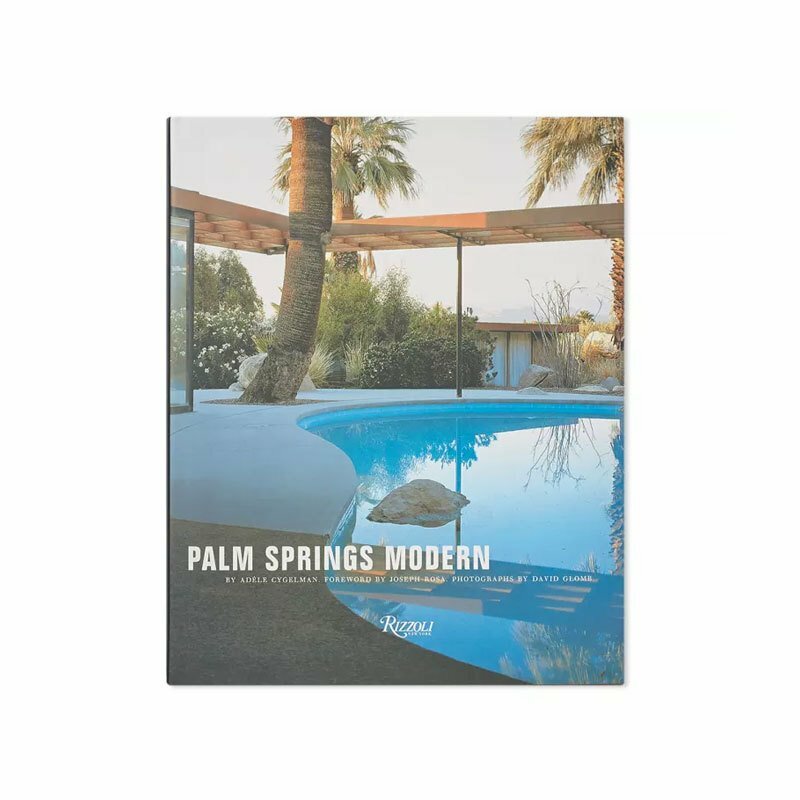 Adéle Cygelman’s insightful text, a foreword by architectural historian Joseph Rosa, contemporary color photography by David Glomb, and the celebrated archival black-and-white work of Julius Shulman all capture the distinctly modern allure of America’s famed desert playground.